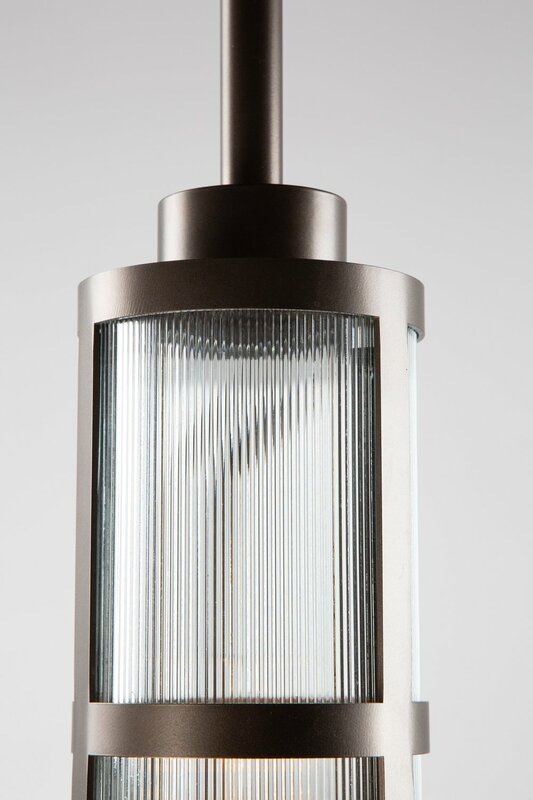 A HAMMERTON FAVORITE DESIGN NOW AVAILABLE IN TWO NEW FIXTURES! Since its introduction five years ago, the Nested Ring chandelier has become a top-seller thanks to its unique design and broad versatility. Not surprisingly, our custom team has been overrun with requests for complementary fixtures that can extend the look to additional spaces. We knew it was about time we officially made these custom designs into standard products. Now it’s easy to create a cohesive look around a Nested Ring chandelier in a family room or great room. The new PL2249 linear suspension extends this popular style to dining and game room spaces, while the new LA2249 pendant adds a complementary look over kitchen islands, wet bars and beyond. 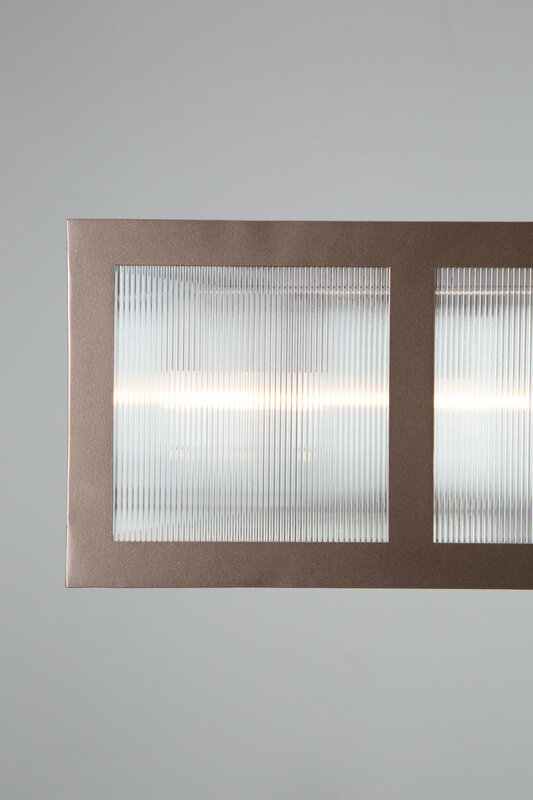 These new lights are a bold interpretation of contemporary style that combines the timeless elegance of traditional Hammerton design with modern geometries and a distinctive urban influence. They offer a look that’s equally suited to a wide range of interiors. Clean lined with a bit of sparkle, the Nested Ring Chandelier solves many problems posed by today’s large residential and hospitality spaces. With a variety of diameters (up to 60”) the Nested Ring can elegantly fill an overhead area in everything from large entries and great rooms to hotel lobbies, restaurants, country clubs and more. Artisan kiln-fired glass panels create airy volume and allow natural light to continue to fill the room. The two-tier design ensures that beautiful views are not obstructed. Above, a pair of two-tier Nested Ring chandeliers cleverly draw the eye up toward a magnificent view of the Tetons. By KAM Designs. A similar chandelier shines over a California lakefront living room. By Karma Home Accents. 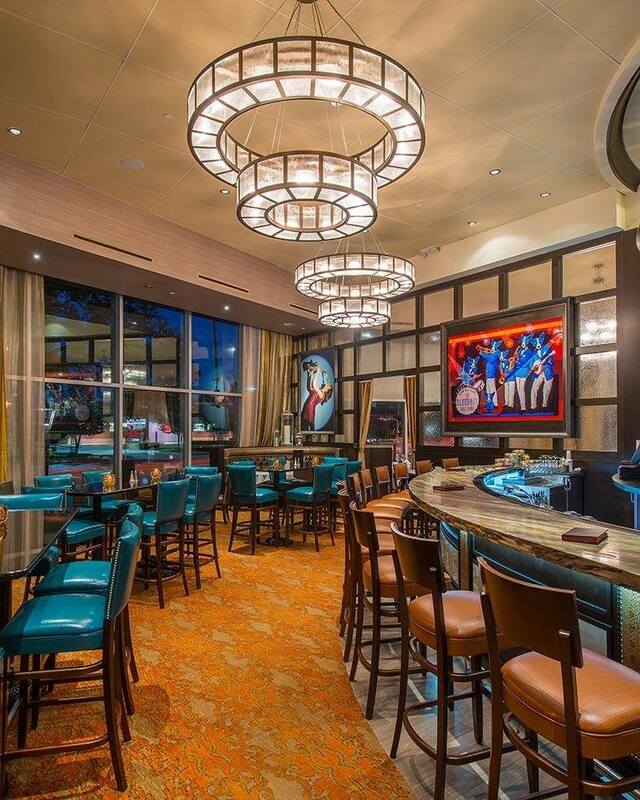 A pair of CH2249 chandeliers shine above diners in a hip bar portion of Ruth’s Chris in Houston, TX. 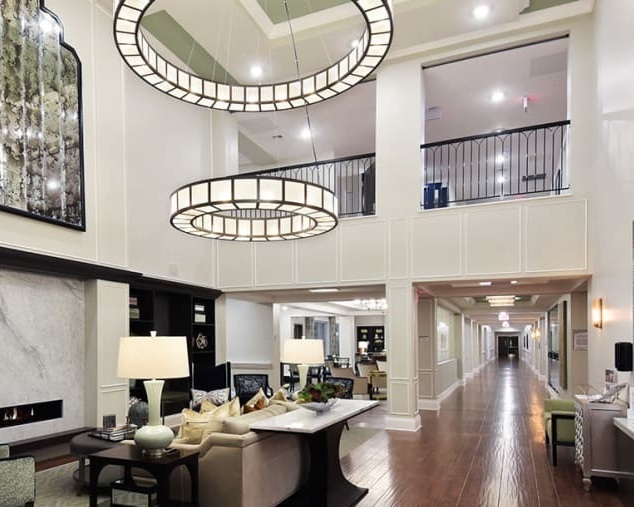 A custom 84”D Nested Ring chandelier hangs above the entry of a modern contemporary senior living home.